Miltown and the West Coast of Clare! 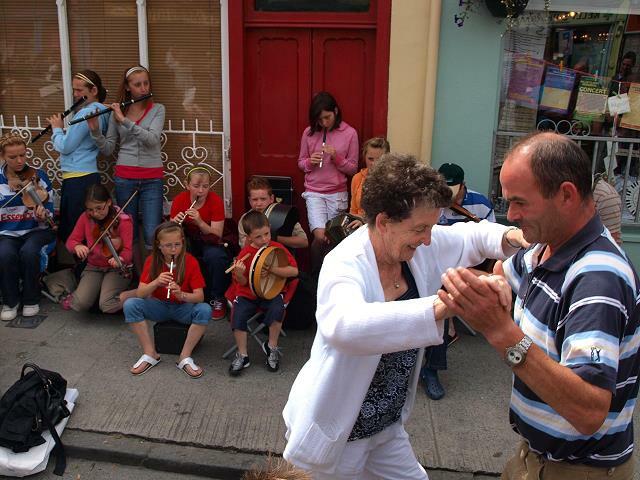 Miltown Malbay is well known for the Willie Clancy Summer School which takes place in July each year and attracts thousands of music enthusiasts from all over the world. Traditional Irish Music plays an important part in this part of the country and many of the pubs have traditional music sessions all year long. But Miltown Malbay has a lot more to offer: Sandy beaches ( White Strand and Spanish Point) ideal for swimming and surfing , quiet backroads ideal for walking and bicycling in the rolling hills of West Clare, fishing lakes and rivers, and remains of the historic past, like the megalithic tomb on the slopes of Slieve Callan southeast of Miltown Malbay. Divers still try to locate the remains of the six Spanish Armada ships which were lost off this coast in September 1588. The area is a paradise for the angler! The rivers and lakes are well known for their wealth of trout and even salmon. 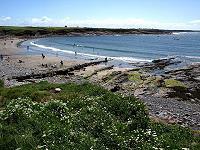 Beach angling as well as rock fishing are possible all along the Atlantic coast line. If you are into Golf West Clare has much to offer. There are a number of excellent courses, the most famous being the Links Course at Lahinch. 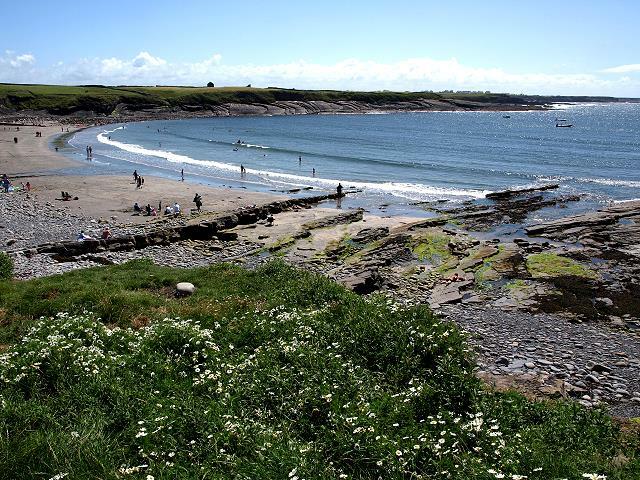 Spanish Point is only a short distance down the road and one of the oldest golf courses in Ireland. If you have a low handicap and your swing is in, try the Greg Norman designed Links Course in Doonbeg, further down the coast.